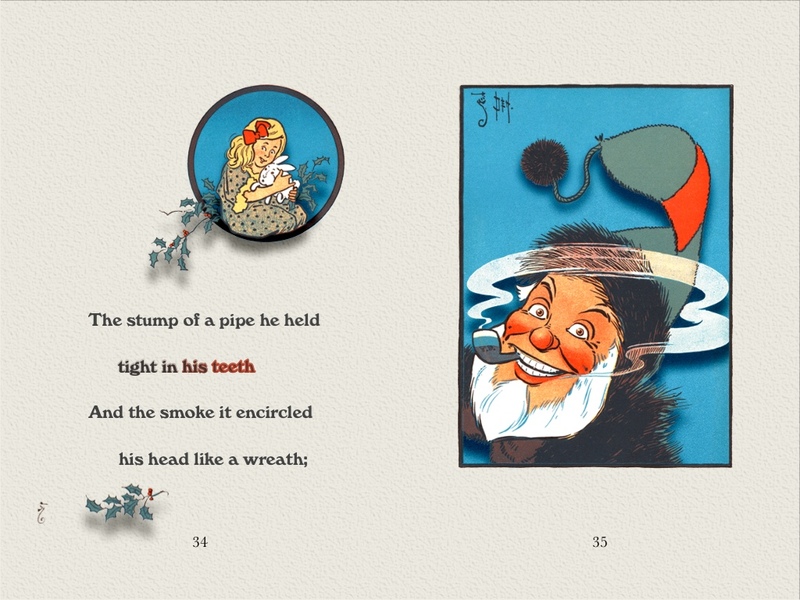 William Walace Denslow’s Saint Nicholas comes dressed in blue furs, a Rip Van Winkle hat and pipe gripped permanently between his teeth. I’d forgotten just how much of the Night Before Christmas was given over to describing the slightly alarming appearance of its protagonist, before reassuring readers that he isn’t here to rob and murder us. 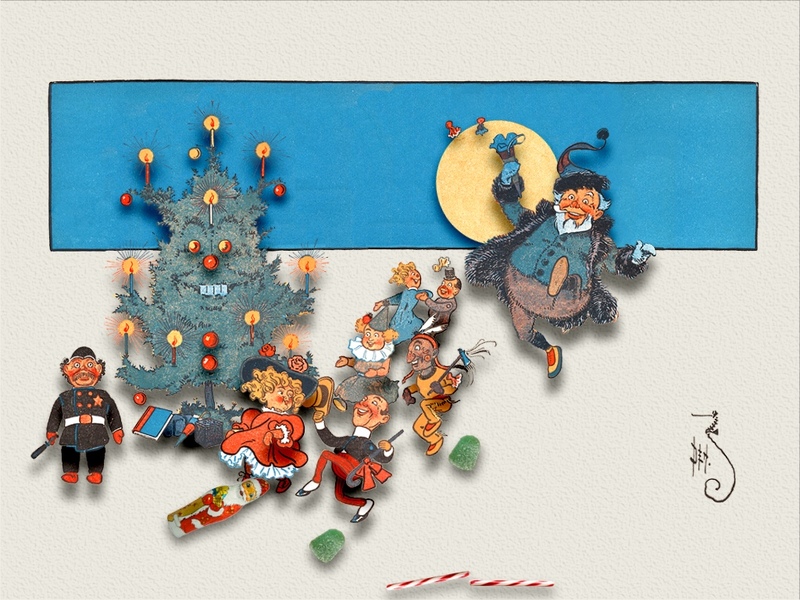 The pictures are by William Wallace Denslow, the brilliant illustrator behind the original Wizard of Oz books. It’s great to see his humorous, sharply drawn characters brought back to vivid life. 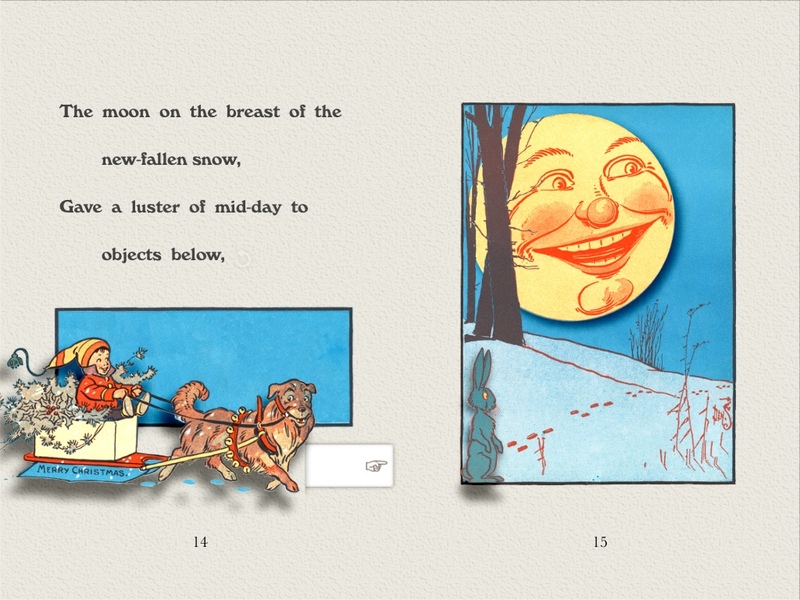 And that, my friends is how to do a Christmas book app. Appy Christmas to all and to all a good night. 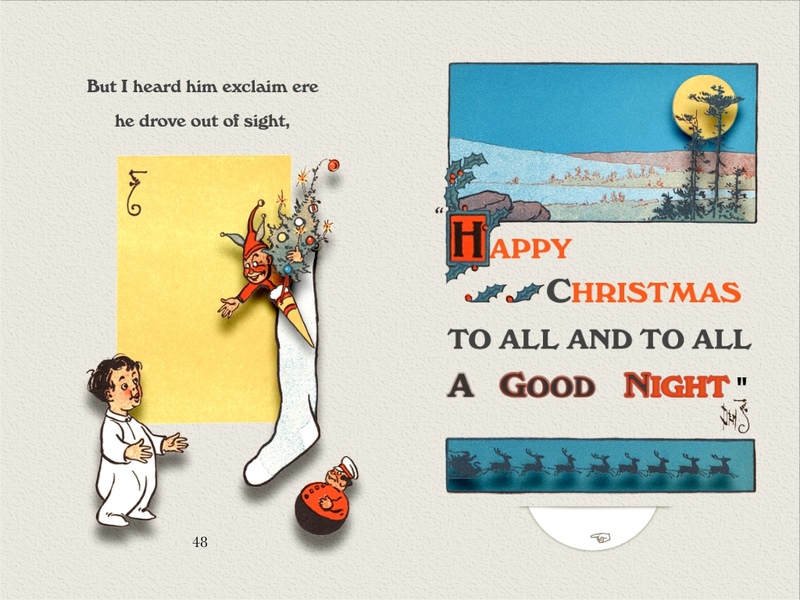 Tags: Angel's Great Escape, Kristyna Litten, The Bear who missed Christmas, The Night Before Christmas, Wallace Denslow. Bookmark the permalink.